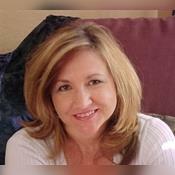 Experienced and gifted, Jackie has been performing accurate in-depth psychic readings and helping all types of folks for decades. Insight and answers are quickly and clearly delivered; she won't waste your time. Real deal. I have been psychic/sensitive all my life, in touch with the energy and knowledge on the other side. I have developed my skills for decades, providing thousands of readings and dream interpretations for many friends and clients. I enjoy providing past life readings, too. I enjoy helping folks along their path; providing honest insight and down to earth psychic guidance and understanding on just about any subject. To begin the reading, all I need is your first name and the first name of anyone else you have a questions about. As I tap into your energy during the reading, I hear and can see messages. I sense and feel the information, and I just know the answers. I am skilled at and enjoy reading the Tarot, too! I am very adept at dream interpretation, and I can quickly interpret a confusing dream and decode its message for you. Often readings are about unlocking information about ourselves and our life’s path to gain deeper understanding and more power and control of our own destiny. I can help with that, too. I combine all my talents to provide you with a truthful and comprehensive reading as quickly as possible. I go in-depth and get more and better information the longer we speak and the more we connect. I waited 5 months for this conversation and it was worth it. Lots to discuss, so many changes. Jackie always tunes right in and gives a great reading! Always nice talking to you. Will keep you posted. Jackie Anne has been a user of Keen since 2002. Getting Life Questions advice from Jackie Anne through www.keen.com is safe, secure and confidential.